The Molar TV Bean Bag™ is the travel version of the standard Molar Bean Bag™. This bean bag is basically the same as the Molar Bean Bag™, except it is smaller and lighter. Sometimes when traveling it can be difficult to obtain 16-17lbs of fill material. The Molar TV requires 8lbs of beans, rice, bird seed, or shelled corn. To make it even lighter you can fill it with 5lbs of black sunflower seeds. 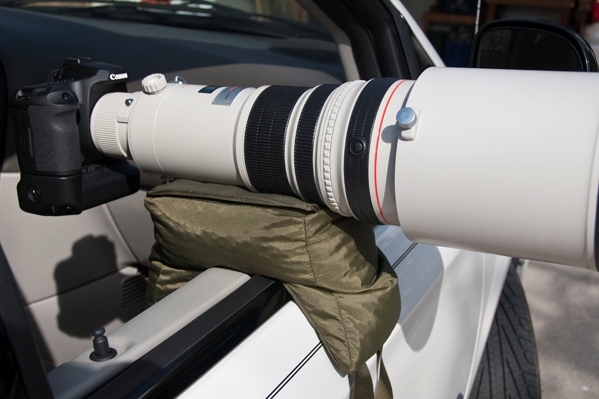 Typically the heavier the bag the more stable it is; however, the Molar TV still provides stability for large lens. 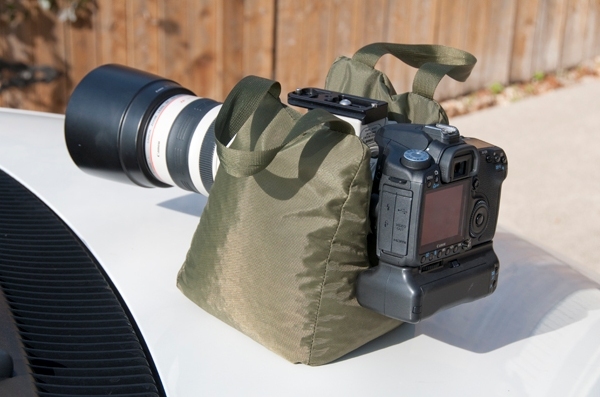 It is an excellent option for people who do not want to handle a bag that weighs 16-17 lbs. We ship them empty. The Molar TV has a zipper installed on the top surface which makes filling easy. We have added a layer of canvas material on the top surface. Some people prefer this material on the top surface as it is less slippery than nylon material. Ears 8 1/2" 6" 3"
The Molar TV Bean Bag™ is made out of 420 denier nylon pack cloth. This cloth has a water repellent finish to keep water out of the bag. The opening for the bag is closed with a top quality YKK zipper. Every Molar TV Bean Bag™ is individually hot cut to seal all edges and prevent raveling. 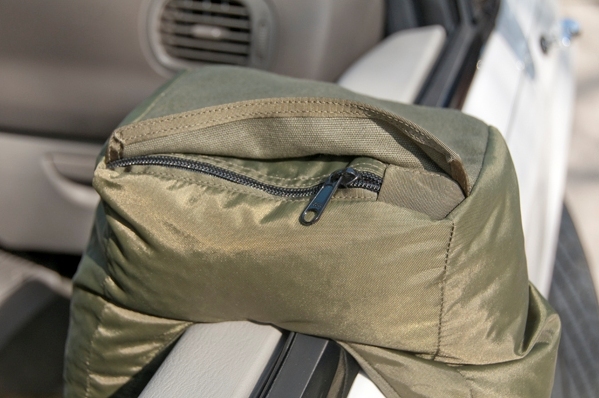 Every seam is double stitched and sewn with nylon thread used in the parachute industry. Every Molar TV Bean Bag™ has two nylon straps for carrying handles. 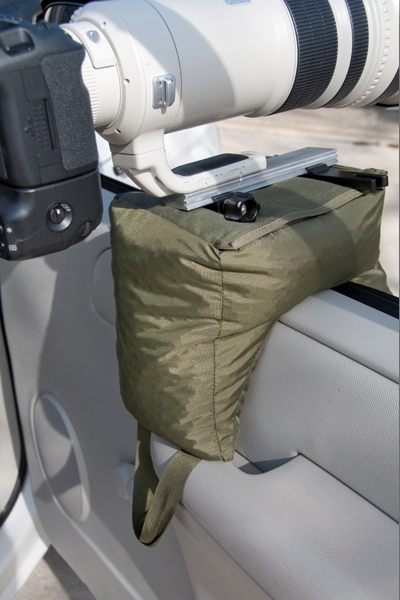 These handles can also be used as attachment straps to secure the bean bag in place. 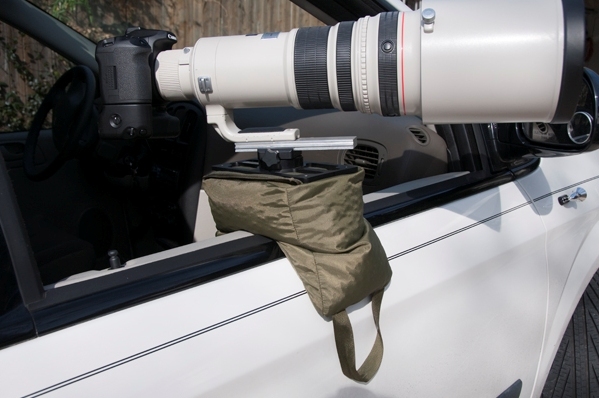 Bungee cords or any kind of cord can be used to secure the bag. 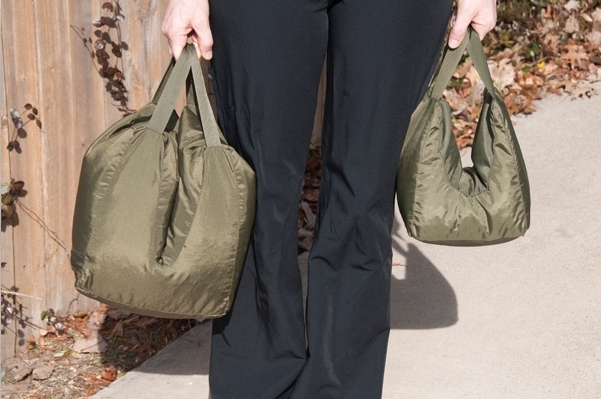 We make the Molar TV Bean Bag™ in olive drab color, and usually have them in stock; however it is always best to check with us to make sure we are not out of stock.